Lining the railway leading into Cambridge, bptw partnership’s development, Magna, comprises 95 high-quality units on a site that was once home to Rattee & Kett stone masons – an icon of local craftsmanship. The scheme celebrates a collaborative approach to the site’s heritage, resulting in a development which can be enjoyed by both new residents and the existing community.The six storey apartment pavilions buffer the railway noise, but step down towards the townhouses, engaging in a familiar visual dialogue. 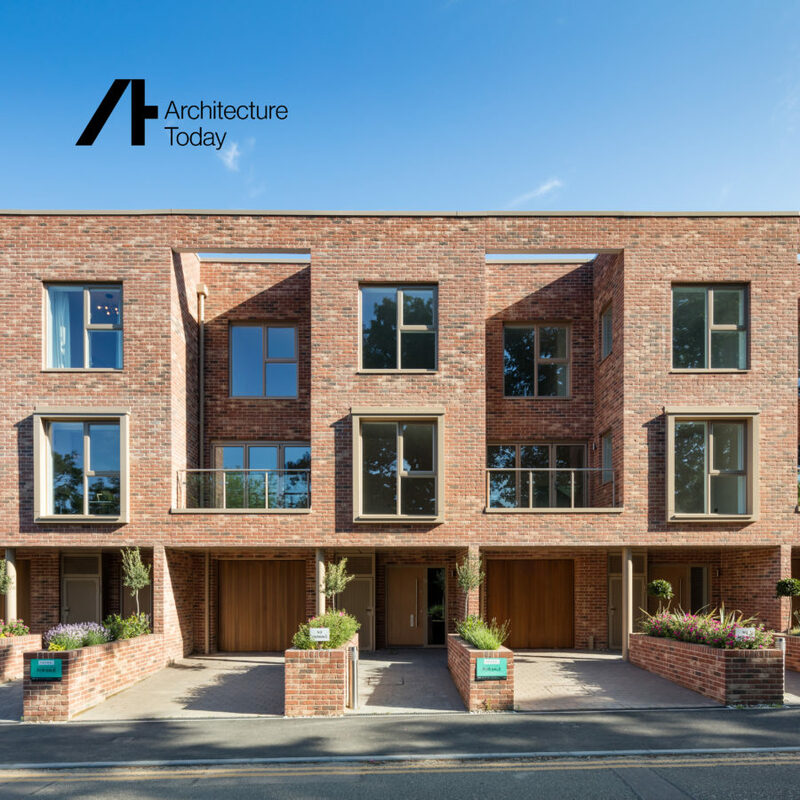 Each house features a private garden that connects to a communal green at the centre of the scheme, enhancing accessibility to create an enjoyable living environment for all. This project was featured in Architecture Today’s print magazine in May 2018 and online in June 2018.